We were so excited to be visiting Portugal for 4 weeks. Our cruise across the Atlantic stopped in the Canary Islands and also on the Portuguese Island of Madeira. 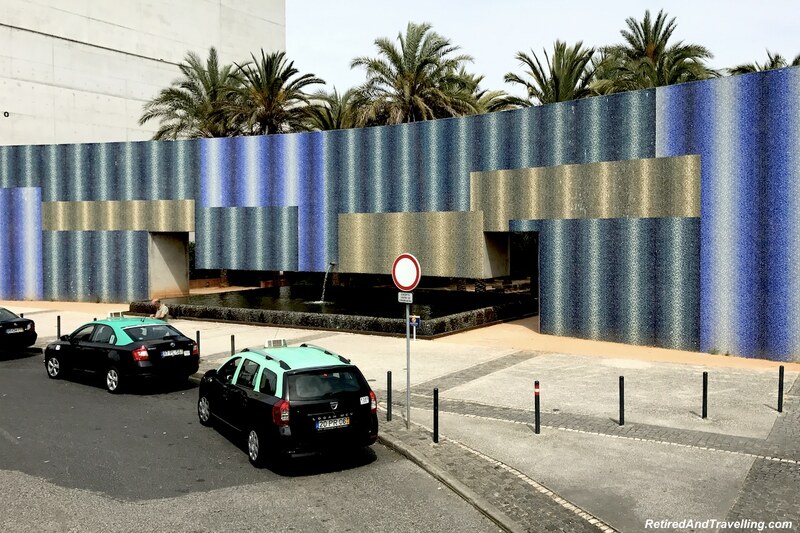 These stops gave us a small flavour of what was to come when we visited Porto, the Algarve and the Azores Islands. 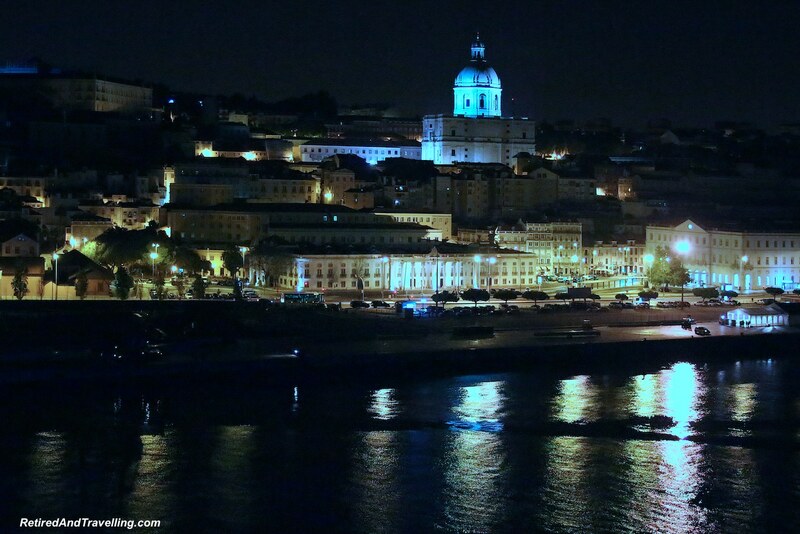 When our cruise ended, we would start a Portugal stay in Lisbon! David was up early as the cruise ship came into the Lisbon harbour. He caught the first images as the sun came up. I was getting just a little more sleep before our busy 7 weeks of land travels began. Since we left the cruise ship with our own plans, we took our time to bid goodbye to our home for 21 days. It had been a great trans-Atlantic crossing. We enjoyed the ports along the way. But we finally departed the ship and collected our bags. It was time to begin our 4 weeks in Portugal. 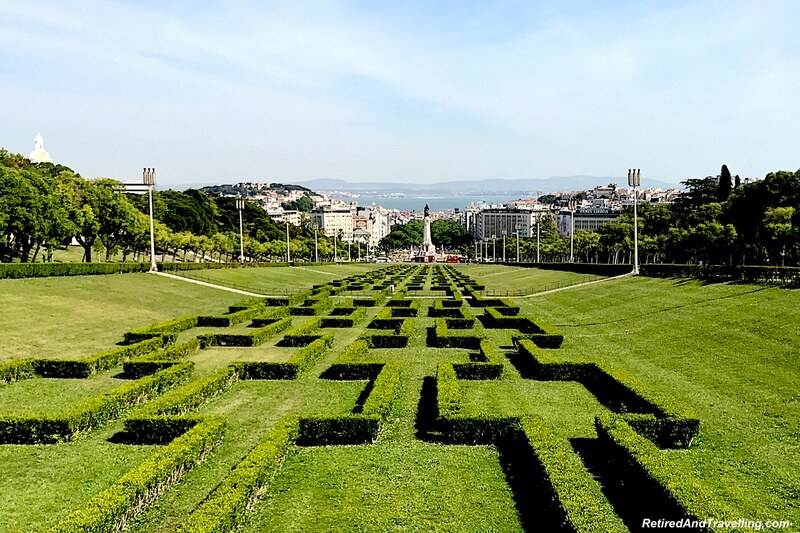 There was so much to see and do when you start a Portugal stay in Lisbon. It was a short cab ride from the cruise dock to the Intercontinental Lisbon for our first stop on mainland Portugal. 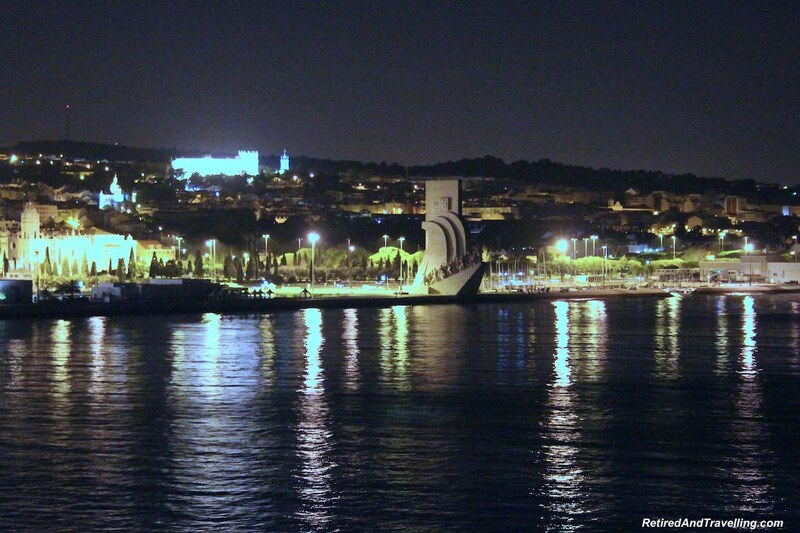 We would use this as a base to start a Portugal stay in Lisbon. The hotel is high on the hill beside the Edmond VII Park. 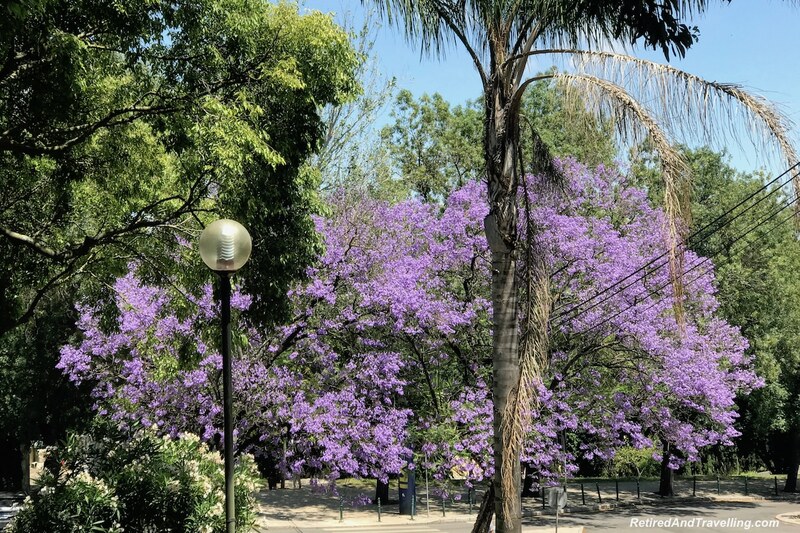 Through our stay in Portugal we saw the beautiful Jacaranda trees flower and bring colour to the city. We had seen them first on the island of Madeira! A few years ago we decided to consolidate our hotel points where possible. 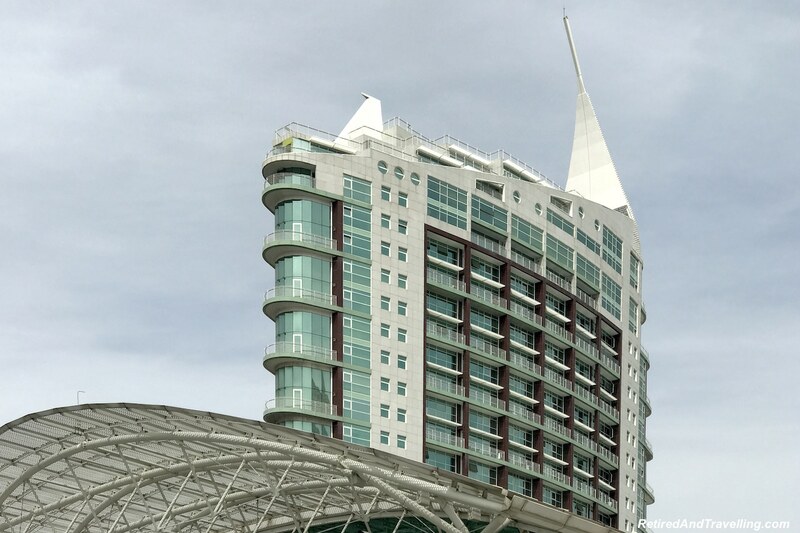 We chose the IHG group of hotels. The nice thing about being an IHG Rewards member with Ambassador Spire status is that we generally don’t need to worry about early check in. 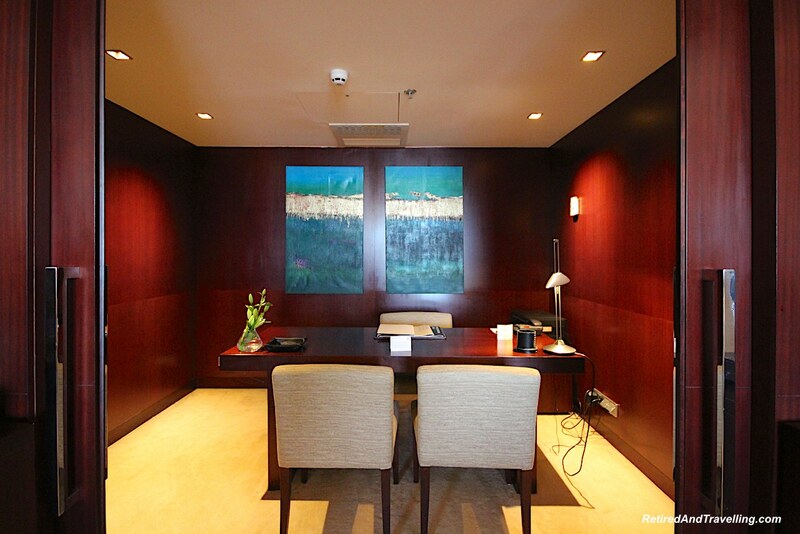 Even if our room was not ready, we enjoyed the comfortable Concierge Lounge. There was always coffee and great treats to be found! There were some challenges with getting us the upgrade that our Ambassador status provided. We would not get our suite until the second night. But the hotel staff were awesome in making up for this issue. 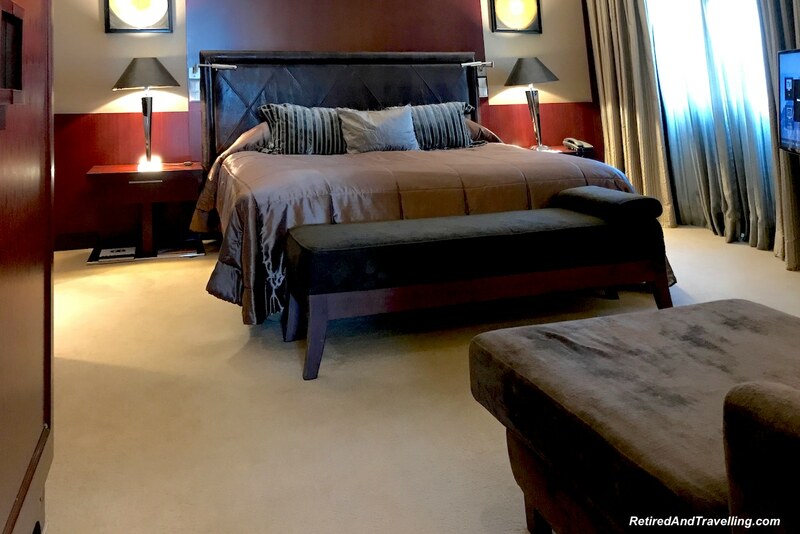 It was the first taste of great customer service at the Intercontinental Lisbon but it would not be the last. At every interaction, the Intercontinental Lisbon staff went out of their way to smile, be attentive and address any need we raised. 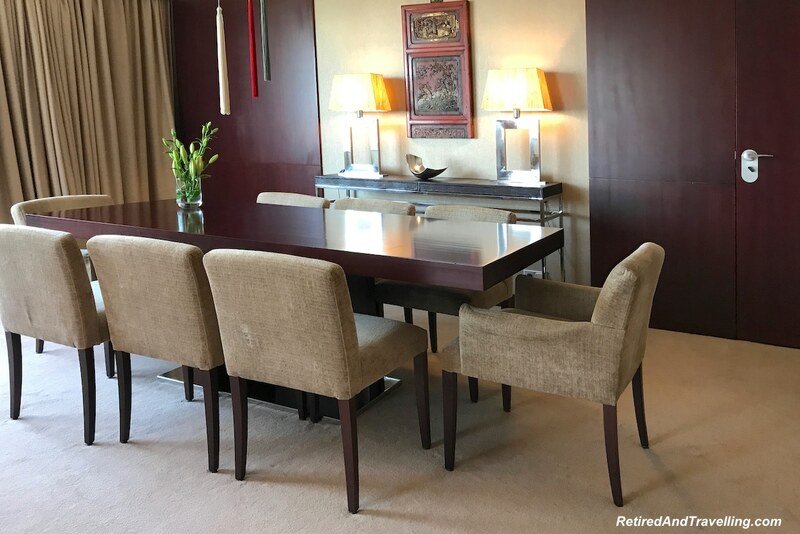 When we did get our suite, we were delighted. Like our upgrade at Intercontinental Miami, we got a two room suite. There was lots of room to lounge and spread out. 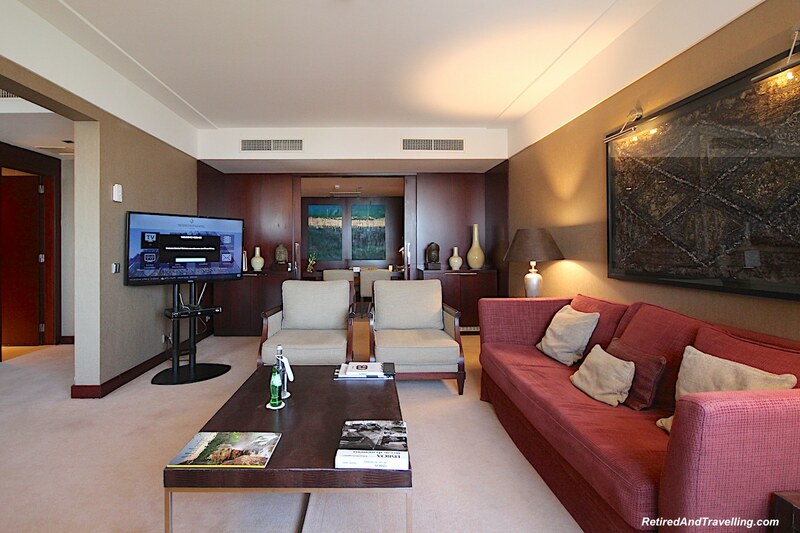 When we returned to the Intercontinental at the end of our visit to Portugal, we got the Ambassador Suite. This was even bigger than our condo at home. I even had my own office to work in. 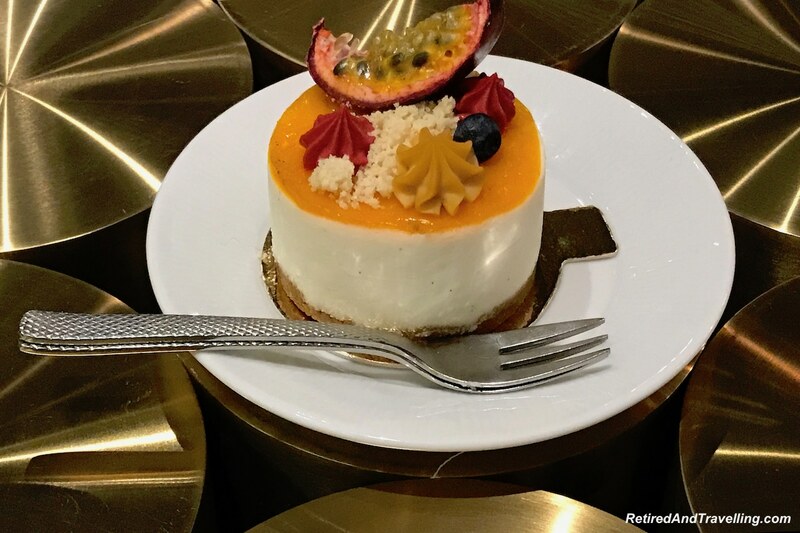 A real luxury treat! The restaurant food was great. 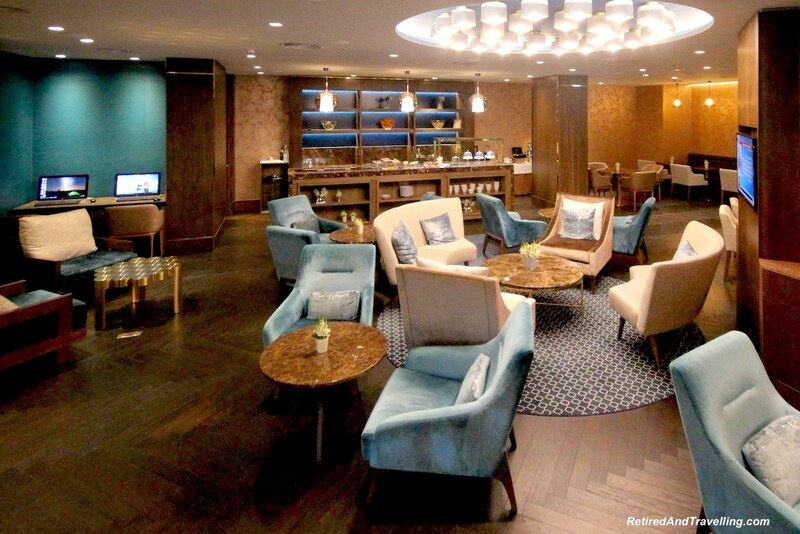 Lounge facilities were on par with some of the better IHG properties we had visited. And the staff could not have been better ambassadors! It was a good thing that we had reservations made after leaving Lisbon. Or we might have settled in for a much longer stay. We also got a chance to visit the sister resort on the beach at Intercontinental Estoril. 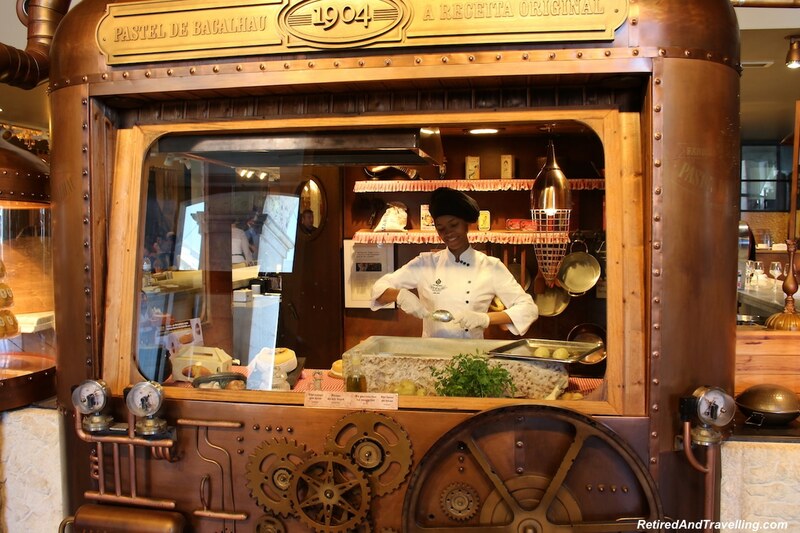 This would be another way to enjoy Intercontinental hospitality when you visit Lisbon. 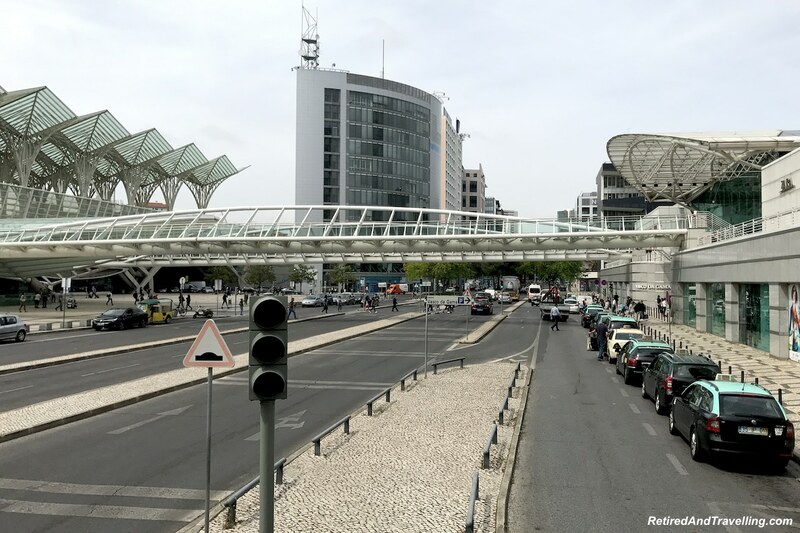 A city walk is a great way to start a Portugal stay in Lisbon. When you head out to walk, be prepared for lots of ups and downs. 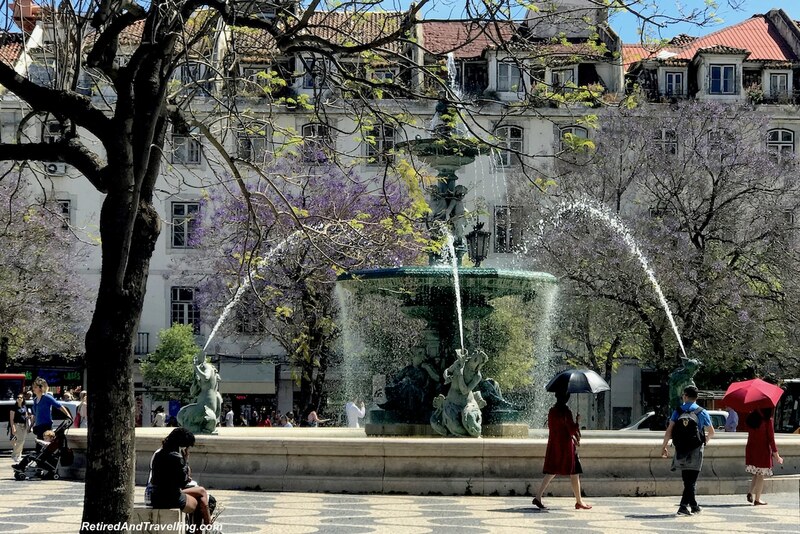 We strolled along the Avenida da Liberdade towards the water. There was much to see as we walked along the cobblestone walkway. The buildings were interesting. Every block or two there was another statue or fountain to admire. When you reached the water there was a large square. The statues and the Rua Augusta Arch draw lots of attention. There are great restaurants and patios around the square to eat and for people watching. 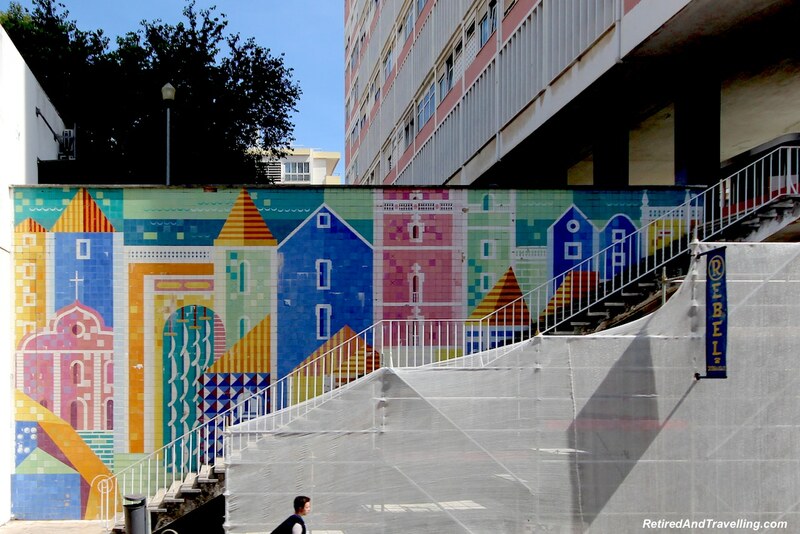 The walk along the Agenda da Liberdade whetted our appetite to see more of Lisbon. 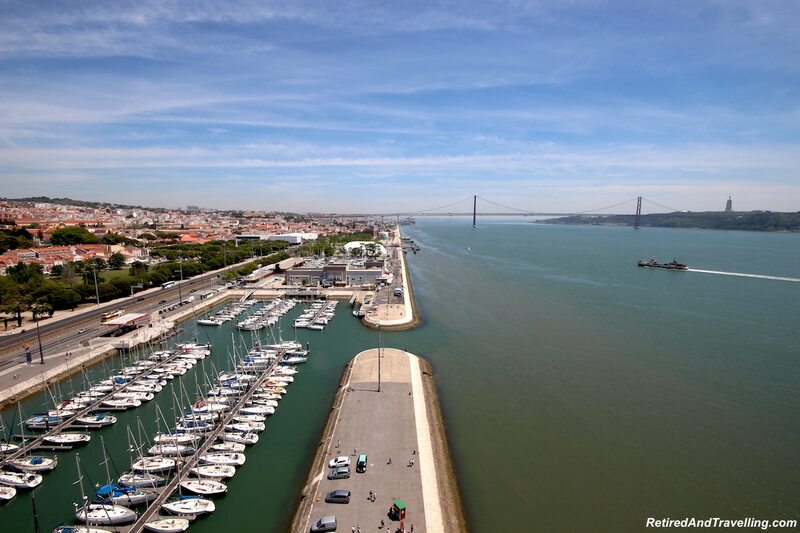 When you start a Portugal stay in Lisbon, don’t miss the many opportunities to see Lisbon from on high. The trolleys can help you to get up some of the hills. 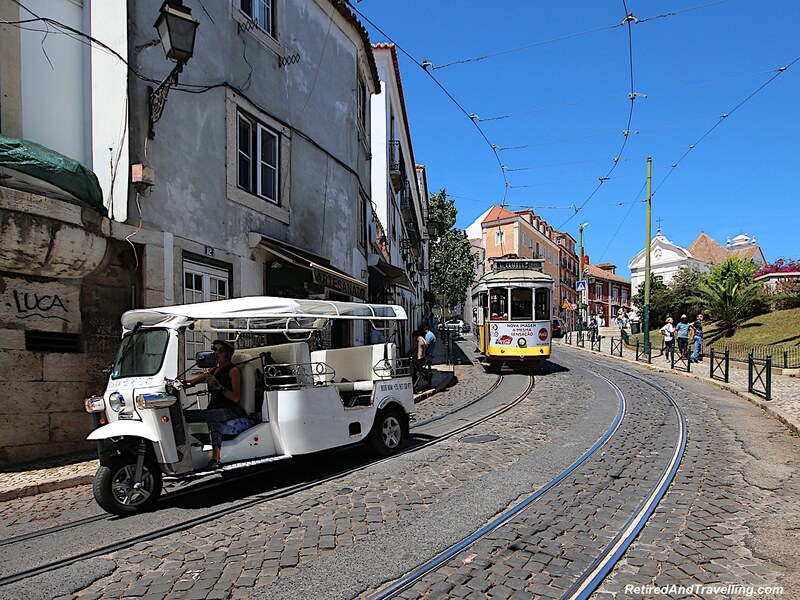 There are also tuk tuks that will take you on a tour to the high spots of Lisbon. As we walked around, we found stairs, elevators or funiculars to get to higher levels of Lisbon. This would get you to another neighbourhood, a great view or a site to visit. There are 7 hills around Lisbon. 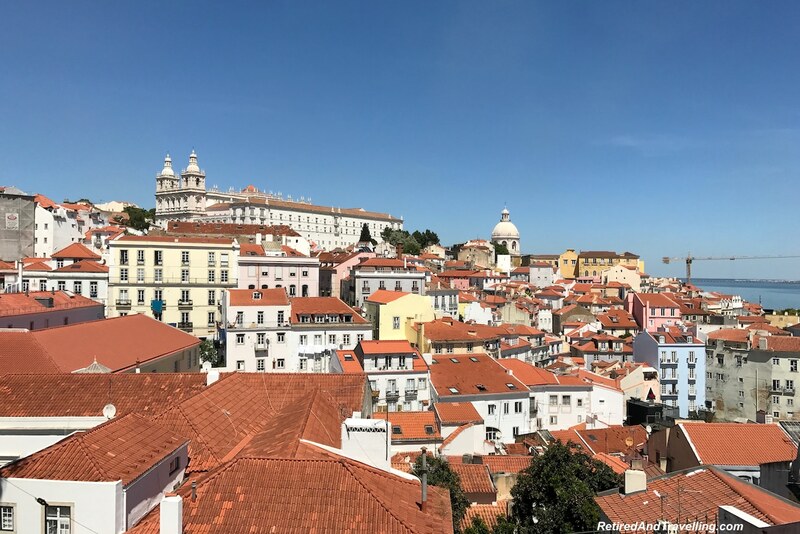 When we headed to a viewpoint (a “miradouro”), we got a great view of the red tile roofs that are characteristic of Lisbon. We saw some of the sites in the view that were on our list and got our bearings for direction to go. 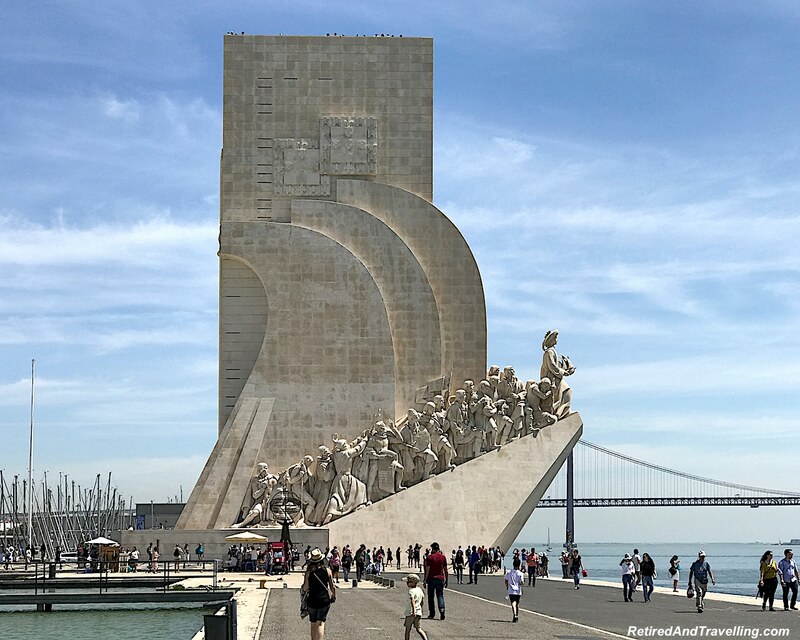 We headed to the Belem area of Lisbon and found that you could get a view from above at both the Belem Tower and at the Padrao dos Descobrimentos statue. 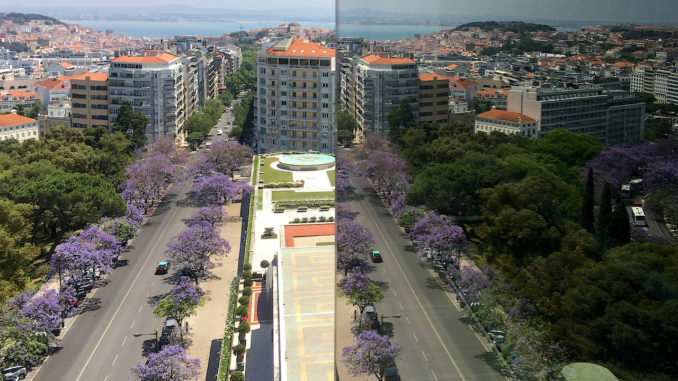 There are many places in Lisbon to go high and get great panoramic views. 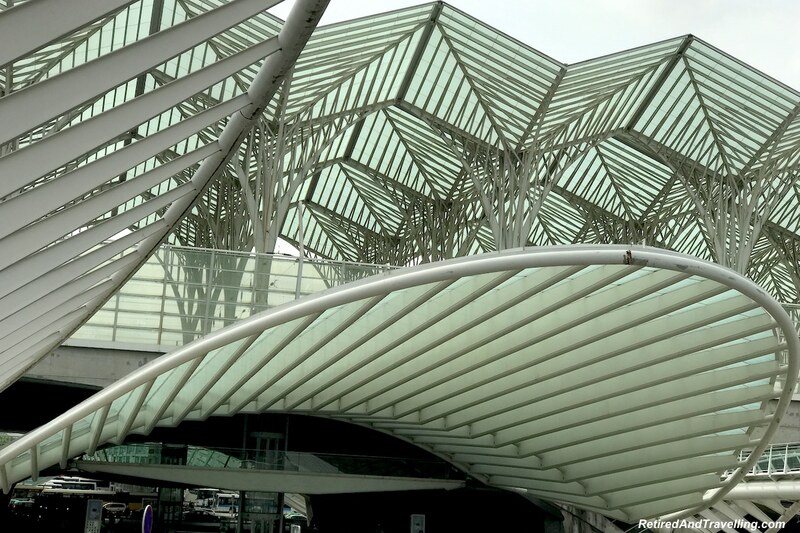 You will want to see some of the famous places when you start a Portugal stay in Lisbon. The tourist sites are spread out all around Lisbon. 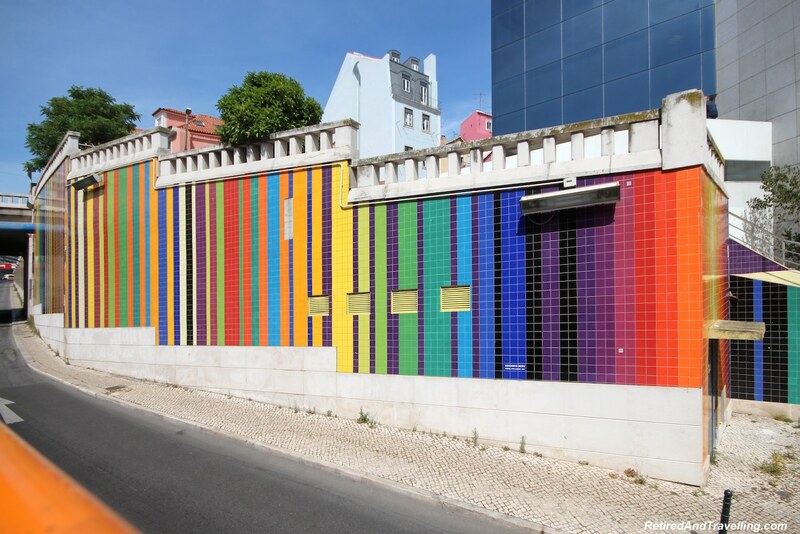 When we explored the Belem area we found many of the iconic symbols of Lisbon. 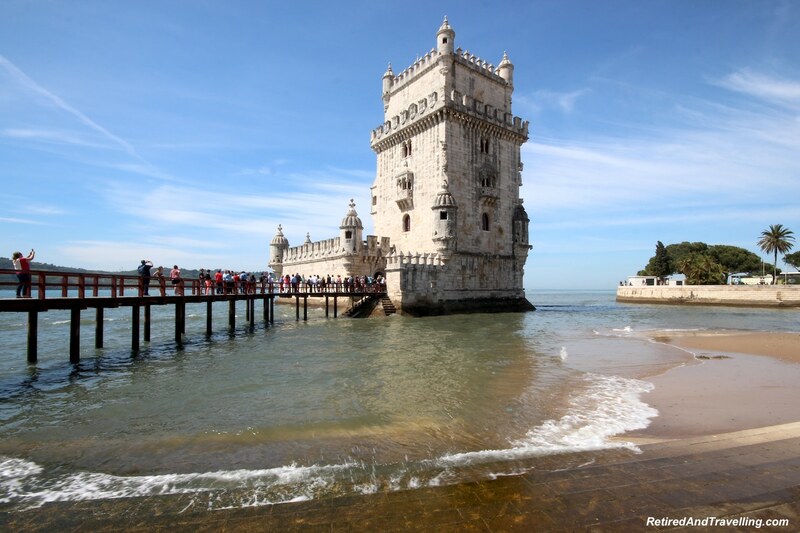 The Belem Tower and the Padrao dos Descobrimentos statue can both be visited with a walk along the Tagus River. From the river walkway we got a great view of Tagus river and the boats enjoying the view from the water. In that same area we found the Jeronimo Monastery. It was a great decorative building to view, even if we did not get inside. 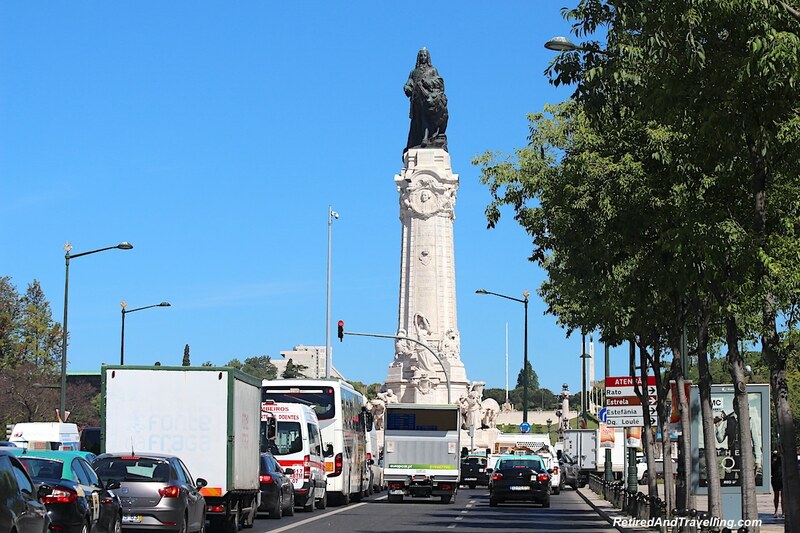 A visit to the Belem area of Lisbon should be on every Lisbon itinerary. 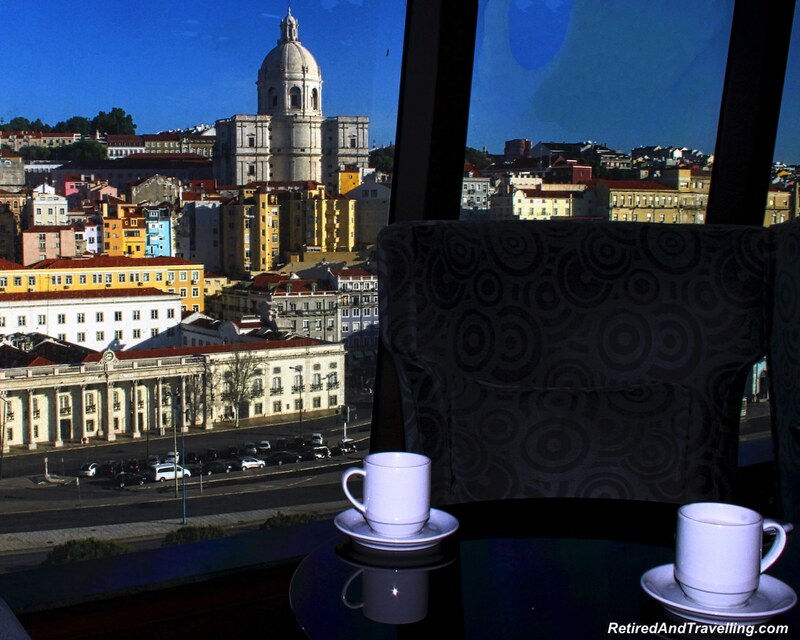 It will provide you with a view of so many of the iconic sights of Lisbon. 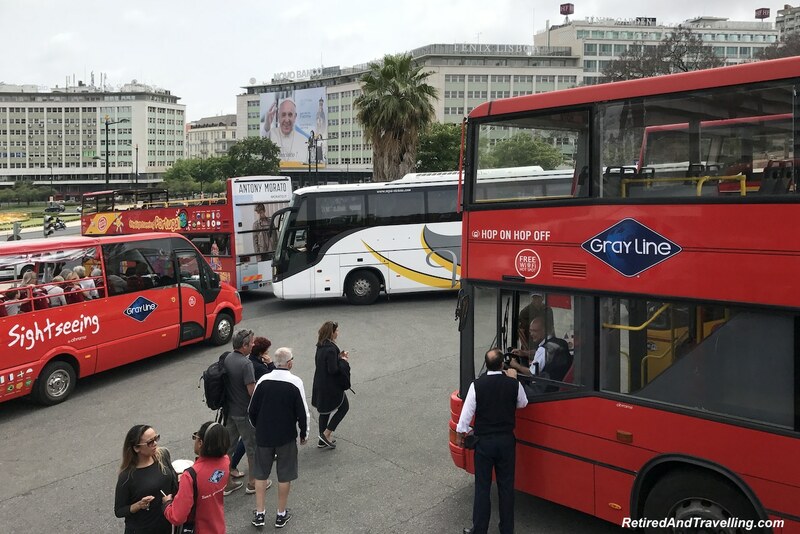 A two day Hop-On-Hop-Off bus pass was a great way to start a Portugal stay in Lisbon. The first day we explored the Belem area. The second day we went further afield to see how big Lisbon really was. 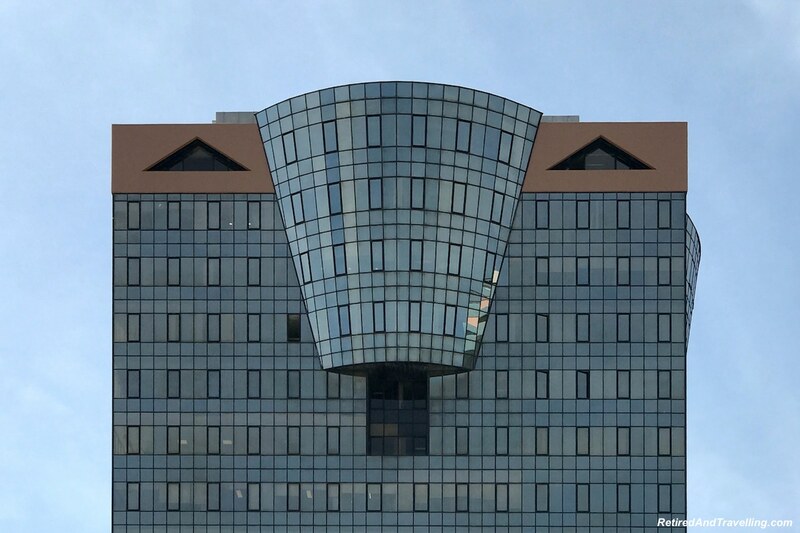 We got a good view of the interesting buildings that can be found in Lisbon. They were colourful and decorative. 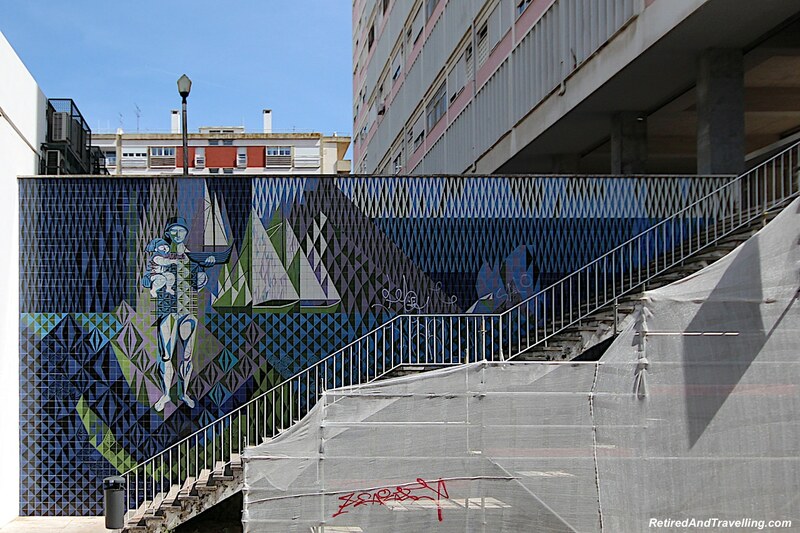 Our heads swivelled from side to side looking at the street art that adorns buildings and walls in Lisbon. We saw the bull fighting arena and the massive football (soccer) stadium. 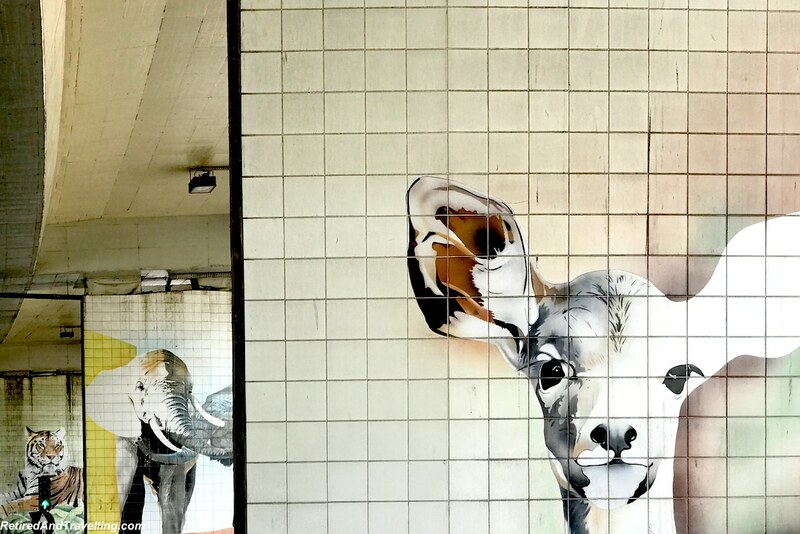 The zoo stop was easy to recognize with the animal pictures on the walls. The bus went out to the Orient area. This part of the city had been extended for the Expo ’98 World Fair. 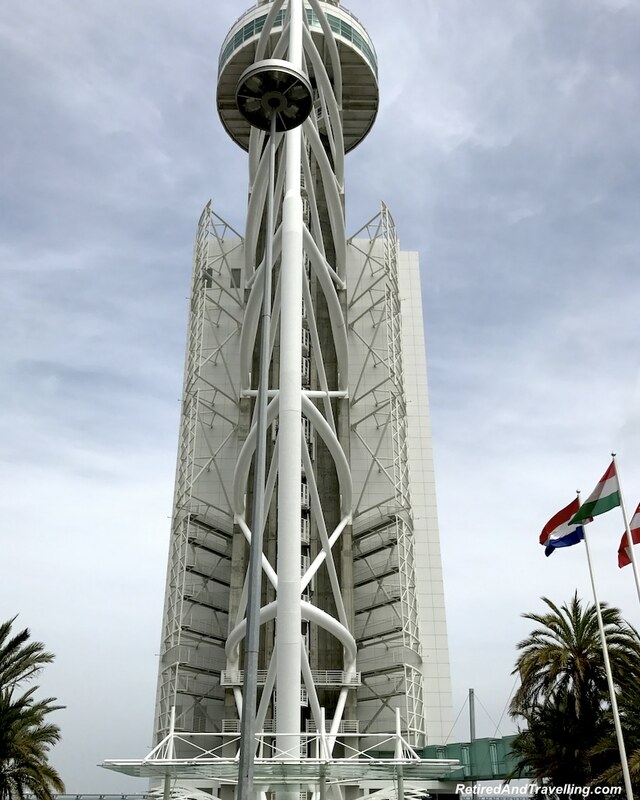 You can get off and visit the Vasco Da Gama Tower. From there you can get yet another view of Lisbon from on high. 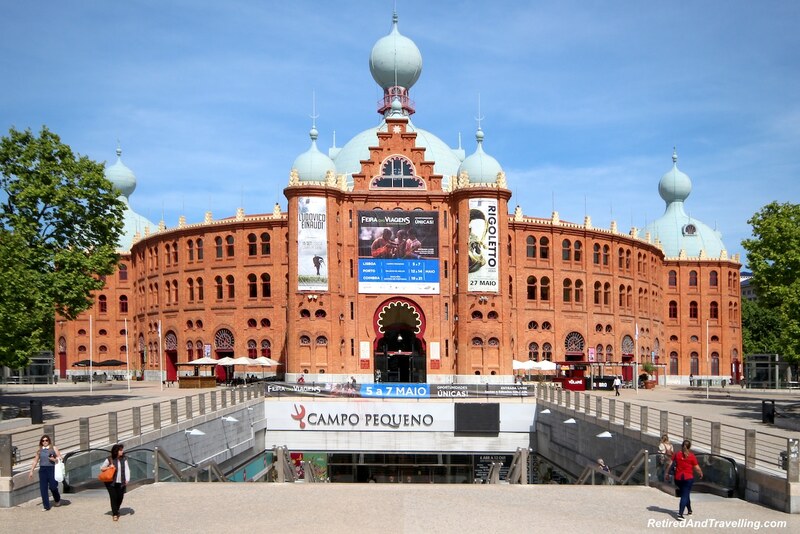 The Vasco Da Gama Centre is a large decorative complex. The Orient train station is here with rail connections to areas across Europe. In the distance we could see the Vasco Da Game Bridge. 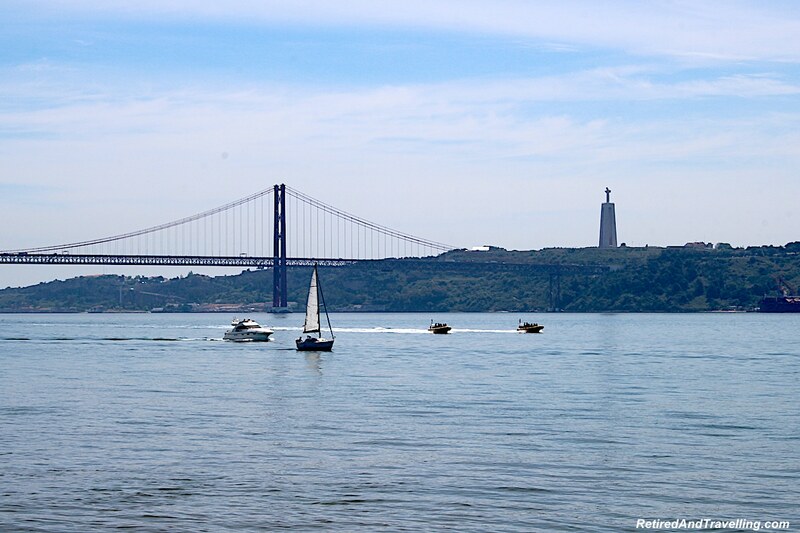 This was the second major bridge crossing the Tagus River. 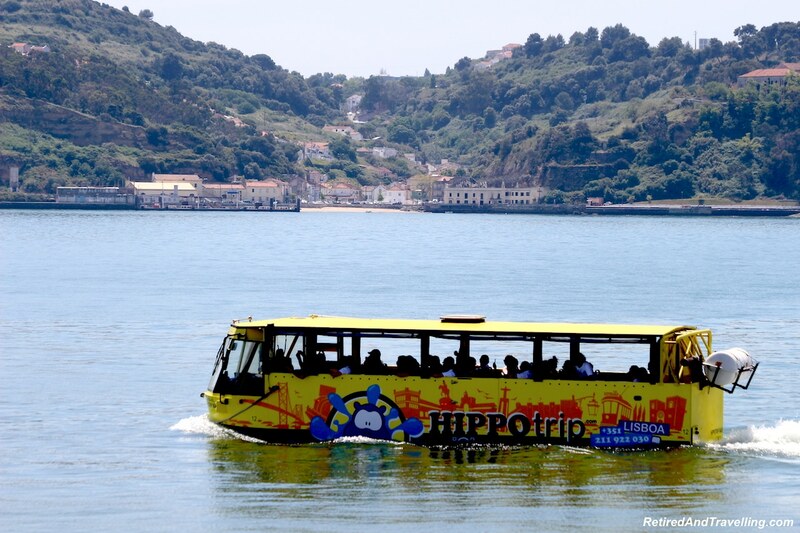 Consider a Hop-On-Hop-Off bus to start a Portugal stay in Lisbon. This will provide you with an overview. But it will also add other places for you to go back and visit in depth. We barely scratched the surface on our first visit. If you do nothing else, you can enjoy great local food when you start a Portugal stay in Lisbon. The south of Portugal is known for its seafood. 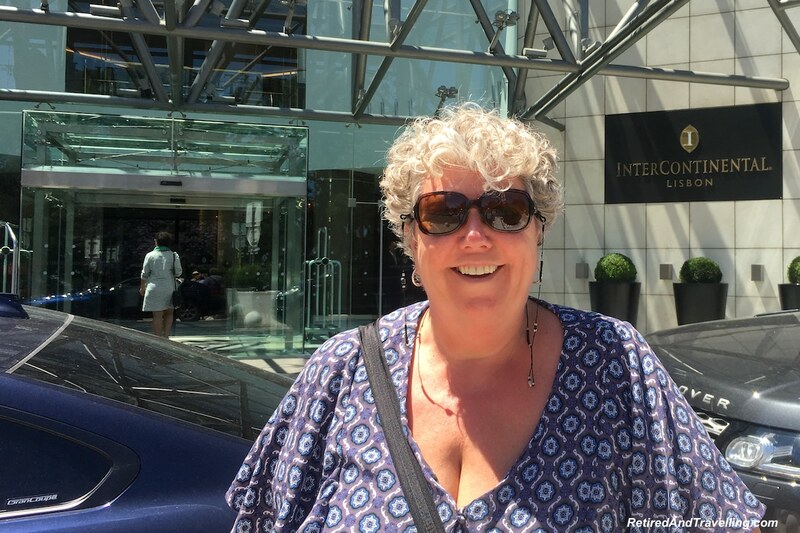 We had our first taste of octopus when we ate at the Intercontinental Lisbon. It was grilled to perfection. We had tasty octopus again when we walked around Lisbon and settled down to people watch in the Praia do Commercio. When we visited the Algarve, we could not leave without trying octopus rice. 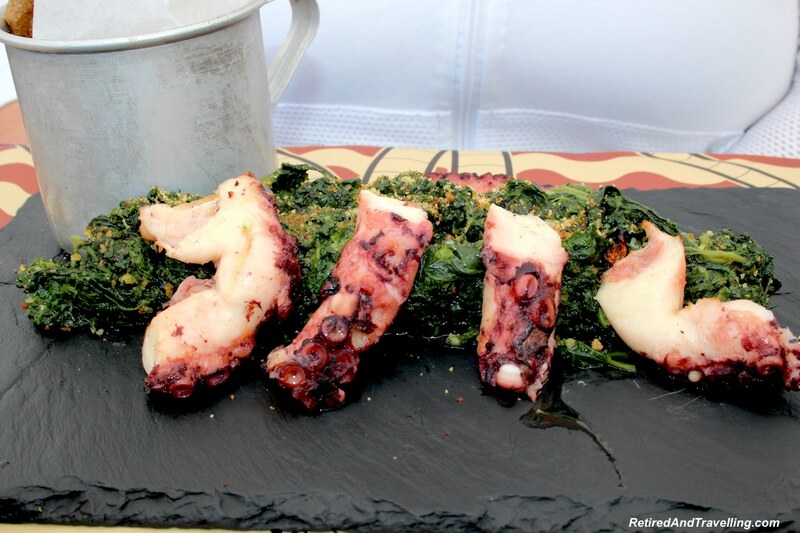 In the Azores, it was baked octopus. David is often game to try new foods when we travel. 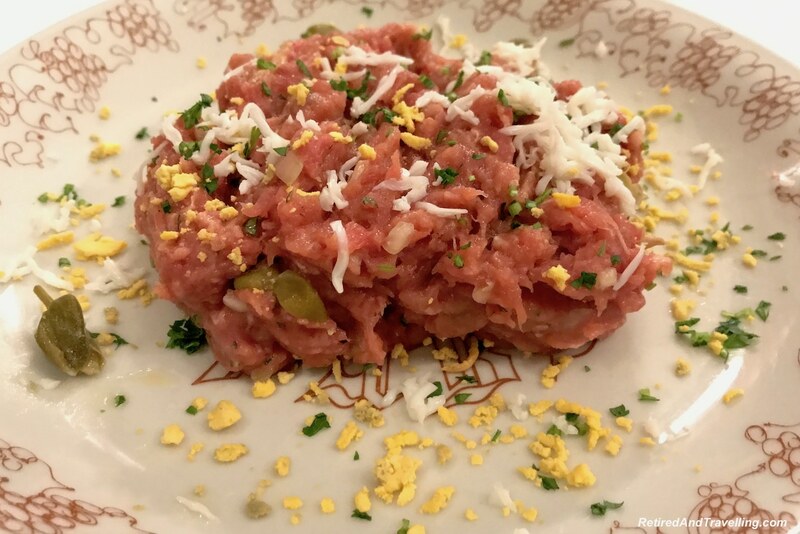 He has had horse tartar in Mantova, Italy and buffalo tartar in Sorrento, Italy. When we got directed to a local restaurant for lunch one day, David had to try the house specialty. He was not the only one who had tartar that day but I was passing! You cannot visit Portugal without having a custard tart. We tried them in several places to know what we were looking for. 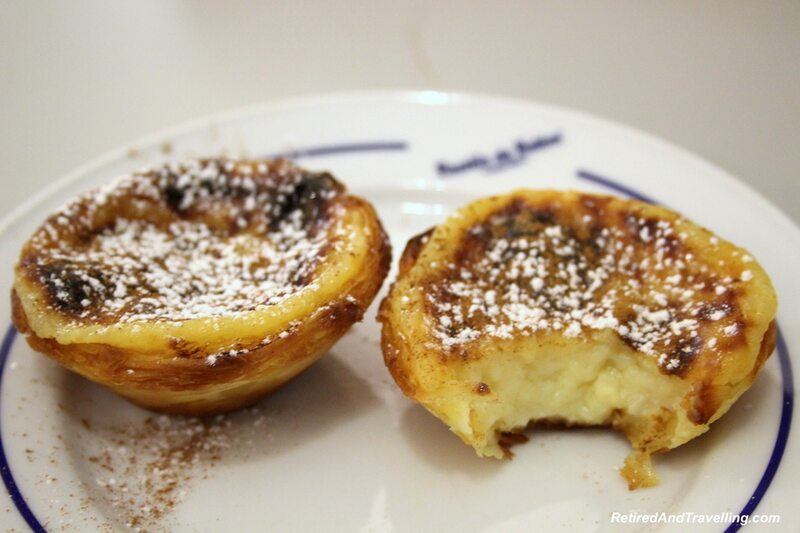 But don’t miss out on a visit to the Pasteis de Belem. This is the place where the famous Portuguese custard tarts were first made. While it may seem to be a very touristy thing to do, the tarts are delicious. We always try the local wines when we travel. There is not really a true local wine in Lisbon. We would wait to get truly local wine when we visited the Algarve, the Duoro Valley and the Azores. 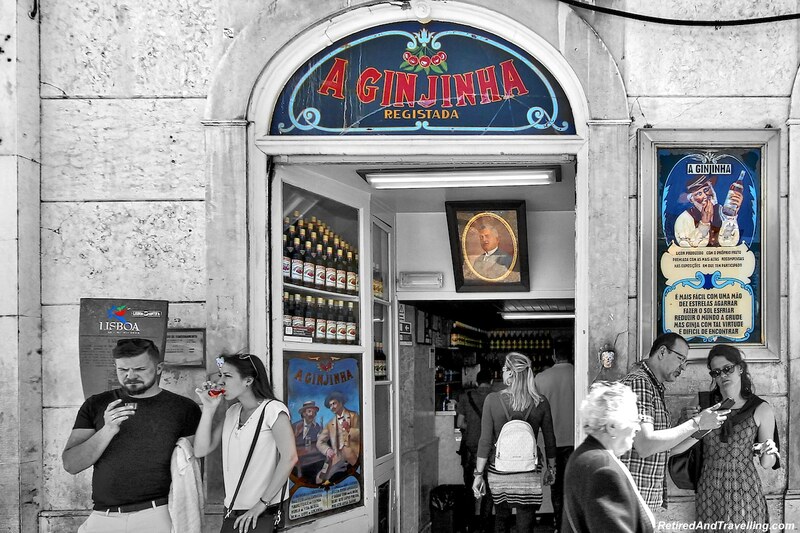 There were several stores that sold the cherry liqueur Ginja. 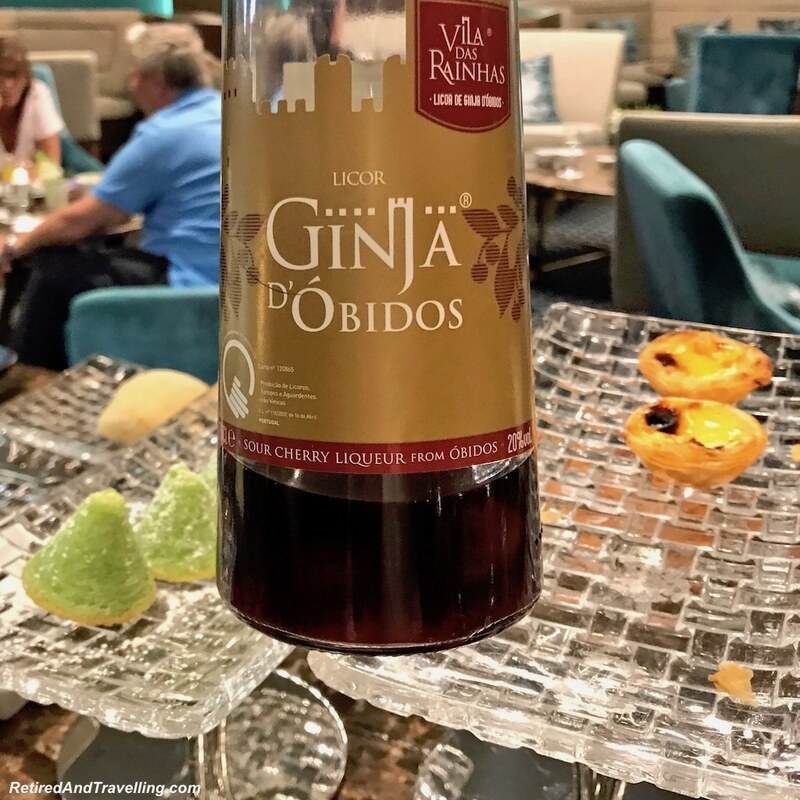 We tried it at the Intercontinental Madrid, but we were waiting to get it at its origin in Obidos. Similarly, we were waiting for Porto to try local Port wine. 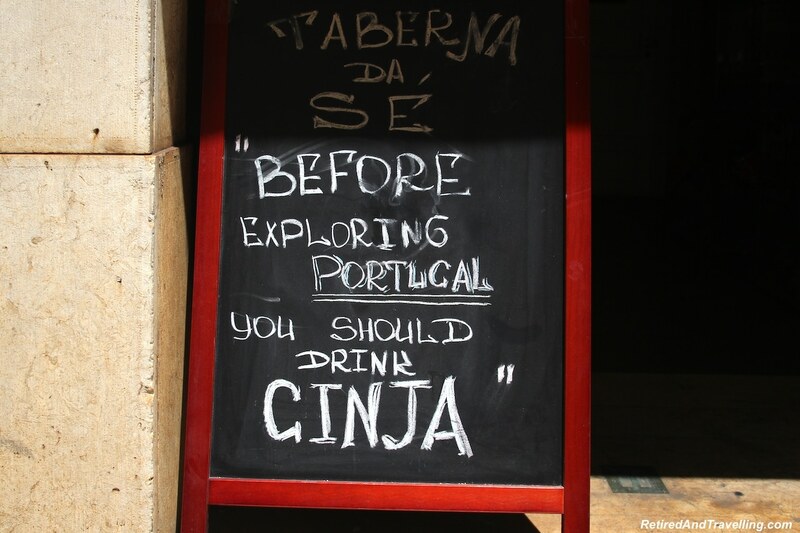 Start a Portugal stay in Lisbon and enjoy the local food and drink. And then continue to eat your way around Portugal! We often buy a city pass when we are travelling. A pass gives you free admission to some sites, discounts on others and priority access for some places. The London Pass worked out well for us when we did a fast gateway visit through London. We looked at the Lisbon Pass as a way to start a Portugal stay in Lisbon. We were in Lisbon for 4 days. But we needed some decompression time and internet access after our 3 week trans-Atlantic cruise. We knew we would be back to Portugal. This meant we were only picking a few things to do in Lisbon on this visit. A Lisbon Pass on this trip did not seem to make sense. 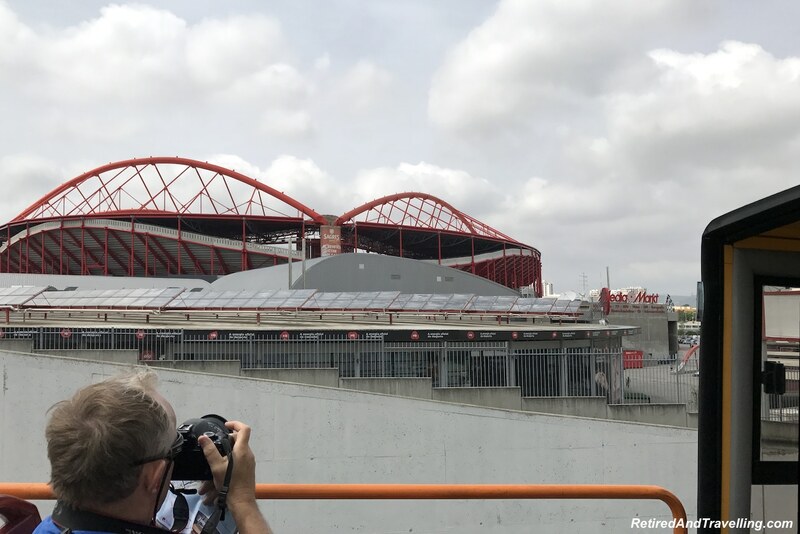 When we looked at what we had done in Lisbon, a Lisbon Pass would not have made sense on this visit. But when we return to Lisbon, we will again assess if it makes sense. We were in Portugal for 4 weeks. We started in Lisbon. Our travels took us through Lisbon several other times as we moved about Portugal and into Spain. 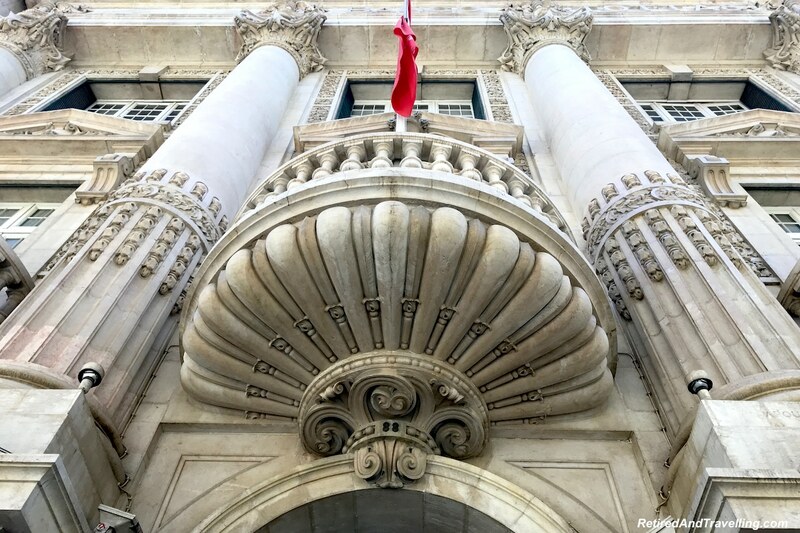 There was lots to see and do when you start a Portugal stay in Lisbon. So we picked a few things that would give us a good overview of Lisbon. There was a lot left for other trips. We knew we would be using Lisbon as a gateway again on our next trip to cruise to Russia. 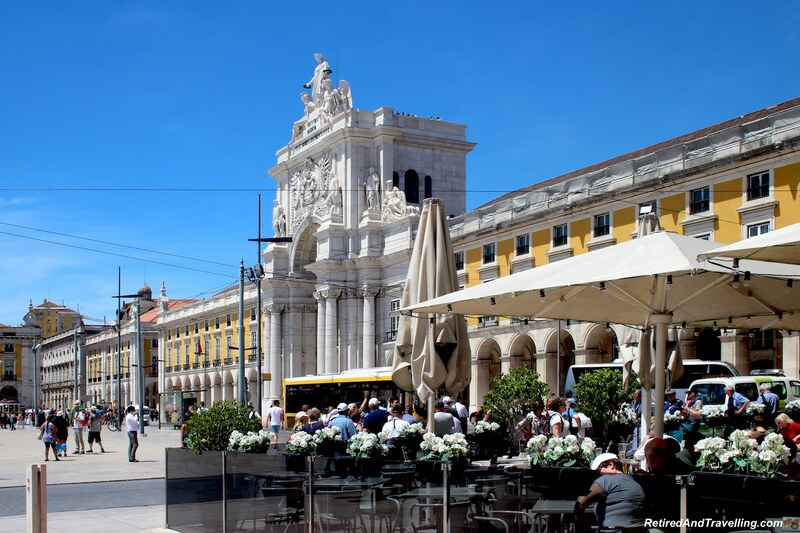 What would you recommend if you start a Portugal stay in Lisbon? What Lisbon site is not worth a visit? 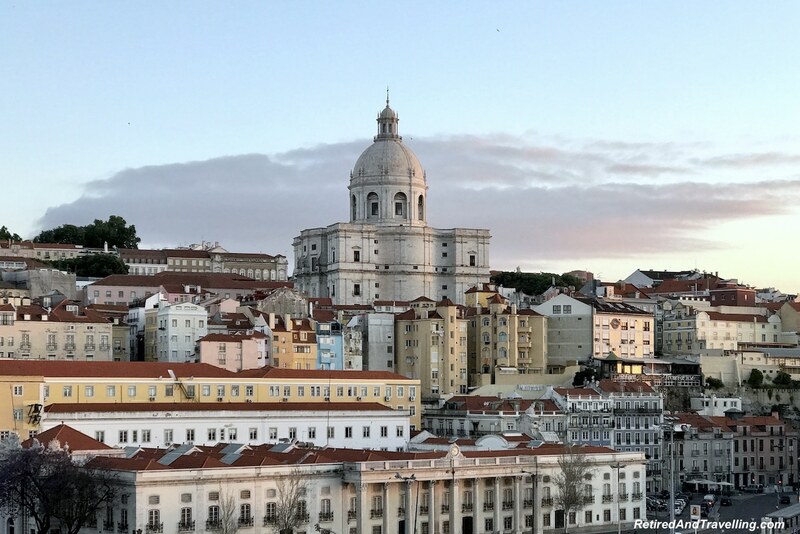 Lisbon is a such a beauty, and your photos capture that well. I had loved the Belem Tower and the Sao Jorge Castle. And couldn’t get enough of the custard tarts! I would probably take the hop on and off bus tour to see some other parts of Lisbon. I always want to try this kind of tour in some cities, sometimes it’s free of charge and also fun! Wine would do great too as I’m a big wine lover! Even though I don’t really recogize the differences, haha trying out local foods is one of the best ways to discover a city. So many things can do here in Portugal Lisbon, it looks like a beautiful and peaceful city to visit! 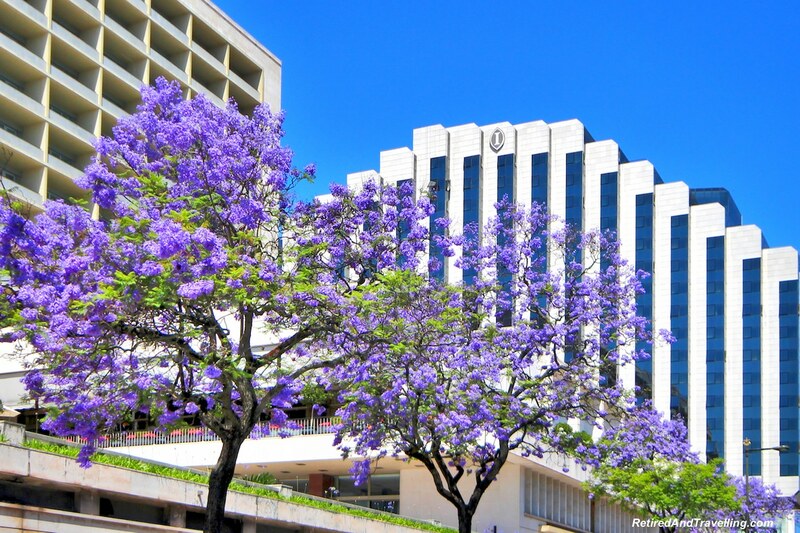 Thank you for showing the contrasting modern buildings. 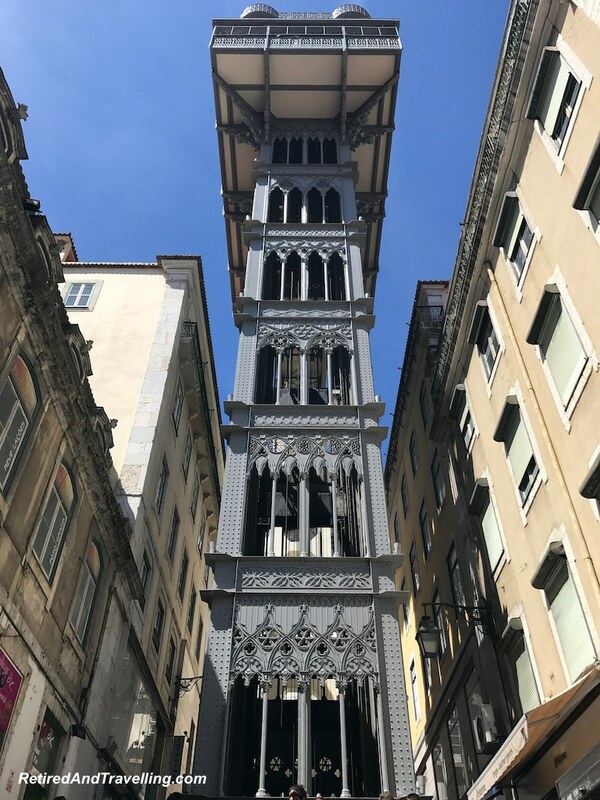 From previous reads (elsewhere) about Lisbon, I was under the impression that the entire city is a giant living museum of historic buildings and landmarks. Looks like quite an interesting place to actually live. And 4 weeks? I guess you did basically live there!Sweet! Wow, a 21-day cruise sounds like a lot of fun. I’ve never been able to travel for more than two weeks at a time, so I envy you. 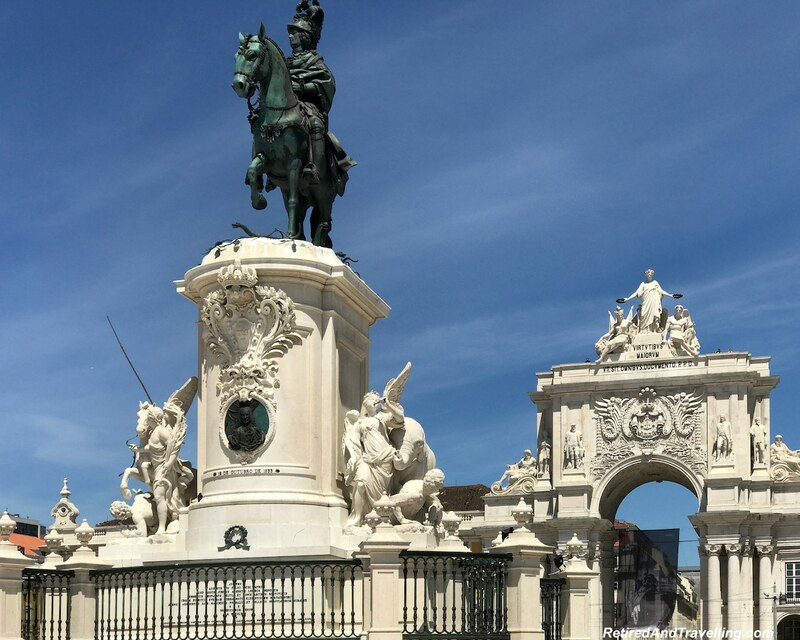 Lisbon is a great city to visit and it has been on my list for along time now. It seems you had a perfect weather there. Oh my, what a beautiful city! I’ve never been there before, but this is a great guide for when I get there. Love the idea of the hop on/hop off bus…I’ve done it in a number of cities, and I always love the overview you get of a big city from doing one of these. I also like the idea of eating my way around a city like this! Your photos are great, btw. I’ve only been to Porto and the north of Portugal, but I keep hearing good things about Lisbon. I’d definitely like to see the Belem Tower and maybe try a food tour of the city. I wasn’t overly impressed with the Portuguese food in Porto, mainly because it was so much rice and I just don’t really care for rice. But I think I need to give the food another chance. Beautiful list of things to do! My husband and I are heading to Lisbon in about two weeks. I definitely want to check out the Belem Area. It looks very picturesque and I can’t wait to eat and drink there either! Thanks for the beautiful inspiration. I would love to go up to Belem Tower and enjoy the view from the top. I would love to just spend a month eating fresh seafood all over Portugal. Wow, I can’t believe you were on a ship for 21 days! I haven’t been on a cruise yet so I just can’t imagine it haha! I adored Lisbon and wish I had spent as much time there as you. I didn’t even try the octopus 🙁 next time!